One of the greatest aspects about what we do, here at Synergy Marketing, is that we’re able to turn just about anything into a fantastic way to promote your business. Pens, water bottles, mouse pads, key chains, knives, tools and flashlights are just a few of the many awesome products that we have transformed into sensational promotional items. The more useful they are, the more effective they can be in promoting your business. One of the greatest aspects of using promotional products to grow your business is how relatively cheap they are when compared to traditional modes of advertising. These aren’t television commercials, radio spots or print ads. Those promotional methods are often very expensive – and they don’t always pan out as methods that work. Promo gifts, on the other hand, add that personal touch to your interactions with your clients. As a small business owner, you have the distinct advantage of getting to know your customers more closely than owners of major corporations. Developing relationships is actually a big part of what makes your company successful. Promo gifts are excellent at both creating and nurturing those relationships. Have you used promotional products to advertise your company before? If not, now is a great time to start. 1. Promo gifts aren’t “pushy”. Your standard modes of advertising outwardly push products and services on the general public. Your promo gift, however, is just that – a gift. So, recipients rarely ever view them as pushy attempts at increasing sales. This is why choosing the right promo gift to benefit your customers is so important. The more use they get out of your gift, the better your company looks. This, in turn, will generate greater respect for your brand. 3. They promote brand recognition. It should not be understated that promo gifts have the ability to pack stronger punches than traditional modes of advertising. Keep in mind that their usefulness allows them to be part of your recipients’ everyday lives. “Since these items get used regularly, they result in 43% more brand recognition and recall than overt advertising methods like TV, radio, or magazines,” VerifiedLabel.com informs us. 4. They boost employee morale. It should also not be forgotten that your promotional products can do a lot more than simply please your customers. Your employees are hugely important to your business. And they too, should be rewarded with these gifts. Promo gifts work excellently as rewards for jobs well done. Use them to motivate your staff. Be sure to show your appreciation by regularly sending your team members home with these awesome gifts. 5. They are cost-effective. Did we mention how cheap promo gifts are in comparison to other ways to advertise your company? Well, it’s time we underline that point. 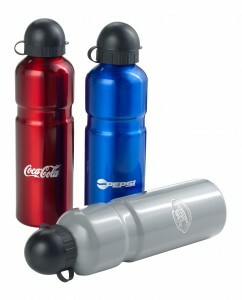 Promo gifts provide your company with incredible value. For more information on the various promotional products offered by Synergy Marketing, don’t hesitate to call 1-877-748-9884. We make it our job to get you the perfect promo products to build your brand!